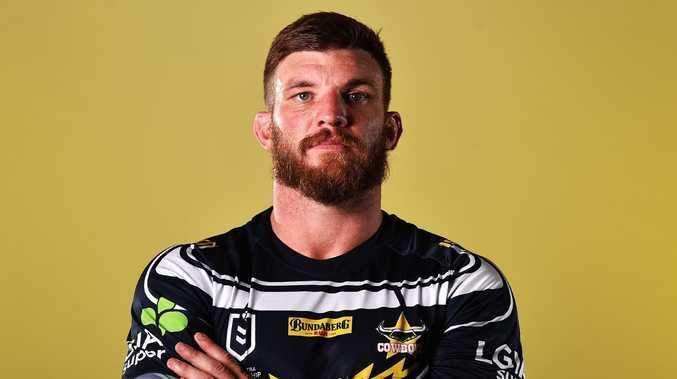 JOSH McGuire's Cowboys team mates are adamant his surprise benching won't lessen his impact as the former Broncos enforcer looks to hit the ground running for his new club. 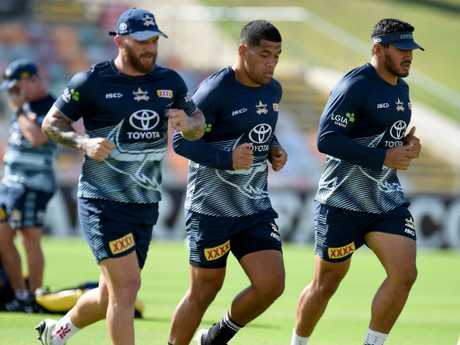 McGuire is the incumbent lock for Queensland and Australia, but he's been named to come off the bench for the Cowboys in Saturday's season opener against the Dragons at 1300SMILES Stadium. It was a decision that raised some eyebrows as McGuire had been widely tipped to win the No. 13 jersey based on North Queensland's trial form, with Jason Taumalolo shifting to an edge. 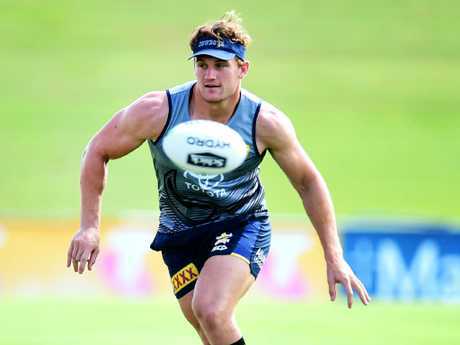 McGuire has not started an NRL game on the interchange in almost six years, but Cowboys backrower Coen Hess was confident their star recruit would still be a big contributor. "I don't think it really matters in that forward rotation if you're on the bench or you start," Hess said. "I'm sure he'll come on and play more minutes than most people out there and get through a truckload of work which is what we expect of him and what he's been doing for so long." Cowboys coach Paul Green has gone with all forwards on his bench to face the Dragons, with McGuire joined by John Asiata, Mitch Dunn, and Francis Molo. Dunn is expected to fill the utility role given his successful junior career in the halves and Hess said having that versatility would give the Cowboys more freedom with their forward rotation. "I guess it just gives us a really good versatility and some guys will be playing an even amount of minutes in a variety of positions as well," Hess said. "I think we've always had a pretty decent pack in years past, but this year just the whole team in general's probably a real excitement. "I think my carries might be a bit easier with those big boys getting nice, quick play the balls." Veteran prop Matt Scott wouldn't give anything away when asked about their new forward rotation on Wednesday, but he admitted it could change depending on the situation. "I think with the pack we've got and the rotation, anything could happen," Scott said. "It could change week to week and I'm certainly not expecting my spot cemented for the whole year, but fingers crossed I play well enough that it is. "While we've got a fair bit of size we've also got guys like 'Moose' (McGuire) and Dunny, who are pretty versatile. "They're both pretty good on their feet and good with their hands so you sort of need that cover and bit of flexibility. I feel good with the mix we've got amongst the pack."